Innocence is an attribute of the divine. It is one quality that is present in every single human being, though it is often buried under layers of conditioning. Many of us lost this quality of innocence as we grew into adults. When we retain or regain our innocence, we are able to see the world as well as ourselves in a whole new light. As children, most of us loved ourselves. We were very comfortable being who we were. Observe little children and you will see that most children are comfortable being themselves. There is no pretence. They rarely wear a mask. Children do not even understand such concepts, until they are conditioned to believe that they are somehow defective. Well meaning adults often tell children that they are not good enough, hoping that it will inspire them to transform into an even better version of themselves. While there is nothing wrong with striving to improve our earthly personalities, the deeper truth is that there is nothing inherently wrong with anyone. We were always good enough and will continue to be so. We all have quirks and weaknesses, which are part of being human on earth, but that does not make us any less than anyone else. Reiki practice helps us drop the layers of conditioning that permeate our aura. It helps us look right into the core of our being- where everything is always good enough, where there is space for freedom and authenticity and where we relive the state of innocence that we once knew. If you feel that you are not good enough, know that you are not alone. There are thousands of people who feel the same way! The good news is that you can shift this faulty belief and get back in touch with the core truth of who you are. Feeling good enough brings immense freedom to the spirit. It helps us be our authentic selves. This inner shift then begins to reflect our outer reality. Our outer circumstances begin to match our awakened inner state of being. When we know we are good enough, we feel happy being who we are. This elevates our vibration and brings more joy and meaning to our lives. The mental emotional symbol Sei Hei Ki can help propel us into the depths of our being, where we realise that we are indeed good enough. Draw the Sei Hei Ki symbol on the piece of paper. Also draw the Dai Ko Myo symbol if you are attuned to it. Place this piece of paper under your pillow every night for a month. You can also write the same affirmations on another piece of paper and carry it with you to work. If you stay home, display this piece of writing such that it is visible to you. Ensure you practise full body Reiki everyday as well. The importance of daily Reiki cannot be stressed enough. Observe yourself at the end of one month. Reflect on the following questions. Answer them in your journal to gain more clarity. Do you feel that something has shifted internally? Do you notice any positive changes in your life as a result of this transformation? The affirmations used are not intended to boost the ego that our physical personality identifies with. On the physical level, none of us is perfect. Neither do we need to be. But on the soul level, everything is divinely perfect. The above words are affirmations of the soul. As the multidimensional energy beings that we are, we are truly lovable, worthy and divine. When we remember this truth, it is easy for us to drop the ‘not good enough’ baggage. We can enjoy being the imperfect beings that we are, knowing that everything is perfect at our core. 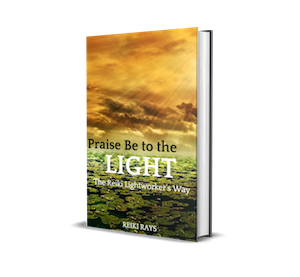 Let us allow Reiki to show us the way to the light of our being! This is a very important article! When we feel we are “not enough,” it is the beginning of many physical, emotional and spiritual wounds.